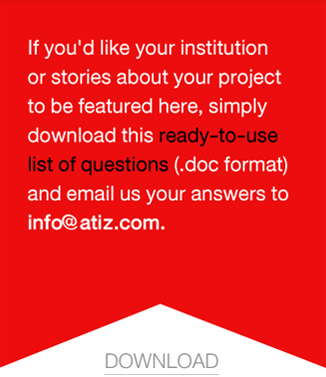 Who are Atiz customers and What are they saying about BookDrive? By Kevin Martin Overall, we really like the product and have been happy with software improvements that have come since the purchase. We hope such improvements continue in the future. The recent innovations of cropping and a super-imposed magnified view in the BookDrive Capture module increases both accuracy and efficiency. I understood that these innovations were the result of customer requests for new features. It's obvious that ATIZ customers are respected and actively involved in product development. Kudos to ATIZ for being so responsive. The addition of features such as these increased our production speed incredibly, eliminating much of the tedious cropping that used to take place either in the Editor Pro software or more extensively in Adobe Acrobat. The magnifier speeds up the image verification process because it operates in real time as an image is captured by the camera. If a reshoot is required, it's immediately apparent. Besides being fast in and of itself, as far as I can tell because of the ease of page-by-page set up, there is no comparison with other systems in which an operator is involved. The operator just turns the page and continues the process. ATIZ has truly lived up the innovative part of its corporate identity. The quality of the results is as impressive as the ease of acquiring the images. While it is true that camera images are different from those achieved by scanning approaches, in practical terms there is no difference in quality. 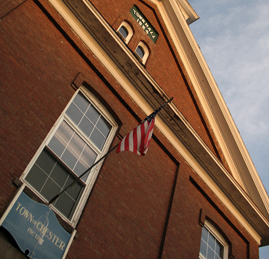 We are producing images for use by individuals using electronic devices. The outcome achieved with the Canon cameras supported by the ATIZ Innovations software is exceptional. 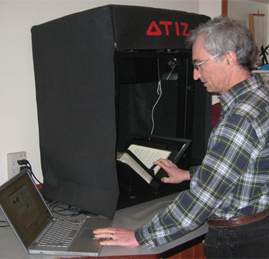 At Indiana State University, we are using our ATIZ BookDrive units both for preservation and for access. The BookDrive Editor Pro software allow for easy conversion of high quality images to TIFFs, for example, and even export within the software to PDFs, although in our experience we have found that using a separate program for production of PDFs provides us with greater flexibility. For example, we like to use OCR on our text files for the benefit of researchers. The ATIZ BookDrive units are highly adaptable. Because the supported Canon digital SLR cameras are programmable, they can be used to achieve a variety of objectives. For example, here at Indiana State University, they are being used in a Sycamore Scholars program that digitizes the intellectual output of faculty, a university archives preservation program that captures the historical legacy of the university, a community program known as the Wabash Valley Visions and Voices, which preserves the history of the local community, organizations, and individuals throughout this region of in Indiana, and a book digitization program in the Special Collections Department focused on the Cordell Collection of Dictionaries, the largest collection of its type in the world. We are very pleased with the choice we made. It doesn't take an expert to use the system. The support provided by ATIZ is superb. Every question I have asked has been answered, most of them by Nick Warnock himself. Also, I have to say that at the rate of improvement that the software goes through, I'm wondering what's next on the horizon. I know whatever it is, I'm going to like it, and that it will be here soon. The cradle adjusts back and forth due to pressure and nothing else. It slides, and whichever side of the book is thickest, it moves in that direction. This means that you don't have to constantly keep readjusting the cradle as a thick book moves through its pages. It also means that you can scan a book with a spine that is over 4 inches (which is a limit for the Kirtas machines). The cameras can be set to autofocus before each shot, which means that you don't have to stop to fix the focus if it gets off. I also played around with the image processing software that comes with the machine. It seems simple, and it does a good job of processing the images, although it does it slowly. Once I got the cameras working, the machine worked wonderfully and I was pleased with the quality of the images. The software not only just takes pictures, but allows you to set the machine to take pictures automatically with a delay in seconds that you can set. It also gives you feedback on how fast your going in pages scanned an hour. Just for practice, I scanned the manual and was surprised at how easy it was to turn the pages and let the machine take a picture. The glass plate rises easily, and I was able to get my hand under and turn the pages very quickly. I left the book batching with the software that came with the machine. If batching takes an hour, then this machine will be perfectly timed. So far I am very impressed with the batching capabilities of the software. You get a clean image without much human intervention. These grants have made it possible for the Libraries to provide 24/7 access to rich research materials for the citizens of Muncie, the state of Indiana, and scholars around the world. 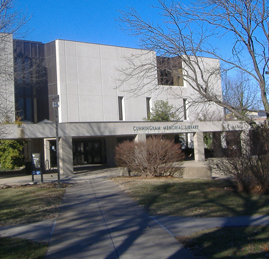 As a result of the current LSTA digitization grant, the University Libraries have acquired a BookDrive DIY scanner that is being used to digitize deteriorating minute books of women's organizations and diaries of local women as part of the Middletown Women's History Digital Collection project. This high performance book scanning platform allows personnel to scan the fragile pages of the volumes in a safe manner that protects the historical documents and provides a high quality digital image. The scanner is like a double copy stand with two digital cameras set at 90 degree angles so that books can be photographed in a cradle rather than laid flat like they would be with a traditional flatbed scanner. This "cradling" protects the spines of fragile books by putting less stress on them. 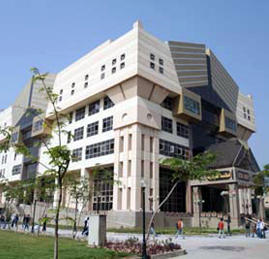 By Nabil Ibrahim Cairo University is one of the oldest and most prestigious university in the Middle East. By John It is the most "well engineered" system presently on the market at any price in my opinion. Its ease of assembly and total adjustability make it well suited for short jobs that require quick turn around on small odd lots of images. Its small footprint allows it to be setup in a corner of my office ever ready for a quick project. The total cost is so affordable that most any small institution should be able to budget it with entry level cameras.The thoughtful layout of the software makes for fast operator training of most anyone that is computer literate. Textual documents are photographed with a Canon EOS 5D digital camera that is attached to the ATIZ BookDrive DIY book cradle system. Digital photographs are processed in batches, which automatically cleans up, crops, and adjusts the brightness and contrast of the digital image. Using a PDF compressor software, images are converted to bi-tonal PDF/A files with machine-readable, searchable text. All scanned digital files are saved as 8-bit TIFF files and stored on a Sun 5320 NAS server that has a raw capacity of 12 terabytes. 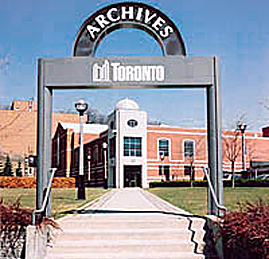 Currently, the City of Toronto Archives has stored approximately 3 terabytes of master TIFF files, including over 40,000 scanned photographs. Approximately 37,000 of the scanned images are linked to the WebGENCAT online database, but only after they have been copied and compressed into lower resolution JPEG files. 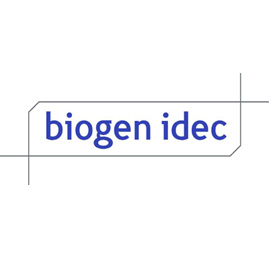 The institutional standard for JPEG images is 1,050 pixels (long-side) with a standard resolution to fit a 17" monitor. Digital reproductions are sold to the public upon request. There are set fees to obtain a copy of a TIFF file on a CD-ROM or to receive a high-quality printout on either 8X10" or 11X14" archival matte paper. 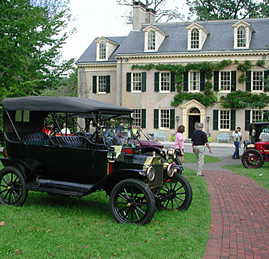 The Digitization Lab uses Epson R1800 and SP2200 Inkjet printers to print photographs. The City of Toronto Archives has the things history is made of: orginal photographs, maps, letters, government papers, Their documents aren't just about downtown Toronto; They also have records from the former municipalities and neighbourhoods that make up our modern city. The oldest item is a map from 1792; their most recent acquisition is a DVD of last month's City Council meeting. They have 1.2 million photographs; millions of pages of textual records, from diaries to speeches to articles; over 5,000 maps; and more. It's all about Toronto. I'm thinking about (and evaluating) the possibility of creating a script to do the deskew/dewarping/cropping and then integrating the jpg's into a PDF and skipping the editor program. The editor works okay, but since we have >8k of these books to do, it will be more efficient if I customize the processing and don't have to train the digitizers on how to do that. I have time to do that though. We can capture the images and even slap them into PDF's as is. We can improve the PDF's later as long as we archive the original images which we plan to. I've been very impressed with the engineering of the system. It's really polished – down to the magnets to bookend the books and hold the cover up out of the way. You have a great engineering team. I took some pictures during the setup and with your permission would like to blog about our experience with the BookDrive Pro. Though I'm not sure how long it will take me to write it up. That's always the slowest part. I also thank my book scanner everyday for all the chiropractor bills I will save on in the future, because I currently don't affect my posture or health with a heavy back pack. I know i am the only one on campus doing full digital scanning of my books. I can see the value in this technology and I have randomly asked students how they feel about losing their books and not carrying 40 lbs daily; and remember that's 40 on an easy day off to the library! I can scan 500 pages an hour on average. I scan much more than books, including ALL of my paperwork, bills, pictures, forms, business paperwork, private docs, etc. etc etc. I am barely using all of the features that the software package offers, however I love it. I have always dreamed of using a faster scanner, other than my now excruciatingly slow flatbed. I can't wait to see what products ATIZ will come up with next. 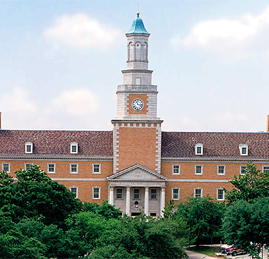 Since 2006, many of the world's most prominent academic libraries and institutions trust BookDrive to help them digitize their book collections. By Michael Hudmon, Technology Teacher, Chalmette High School I would like to thank Nick Warnock and the Atiz staff for the excellent customer support. 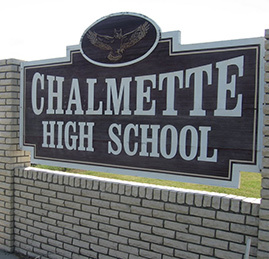 Atiz's Bookdrive Mini has allowed Chalmette High School to assist our alumni to view yearbooks that they had lost to Hurricane Katrina. 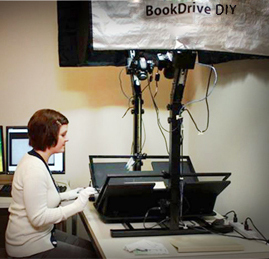 The Bookdrive system is the best system engineered for scanning books. The new usb dongle upgrades have elevated Atiz's system to a greater level of excellence. I would highly recommend the system to anyone in the market to purchase a book digitizer. He is the only person I know who bought and read all the volumes of The Diary of Samuel Pepys. Anyway, when we were young children (my sister Joanna was 6 ½, my brother Jerry was 4 and I was 2 ½), my father decided to write "a snapshot of three children growing up." He wrote scraps of notes on a daily basis, at the dinner table, in the car, or wherever we were, and on the weekends transcribed them on his typewriter, in his own inimitable hunt-and-peck, two-finger style. As we got a little older we would ask him to read from the "funny book" because of the amusing nature of most the events and verbal exchanges that he transcribed. It became "The Funny Book." Over the years, it became more of a chronicle of our lives and a diary of his, but it remained of great interest to us all. About every two or three years, when he reached approximately 300 typewritten pages, he would end the volume and begin a new one. Altogether there are about 11 volumes. The first five are leatherbound (going through 1966) whereas the later, less interesting volumes are in three-hole punch binders. The volumes had been sitting in a closet in my sister's basement in Toronto for a decade, and I've both been worried that they might be damaged in a basement flood, etc., and been unhappy that we and our children get to read them only very sporadically. When I visited Toronto last year, I decided to take home the bound volumes and try to get them scanned. 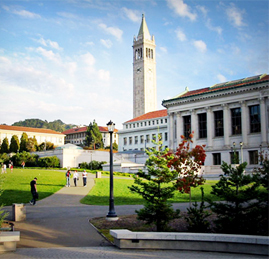 I talked to our chief librarian at UCSF, Karen Butter, and she gave me names of a couple of people who do rare book scanning for the University. I talked to them and realized that the cost would be prohibitive. I started looking for alternatives and finally found BookSnap. It was the perfect solution! I have just finished all five volumes and have sent them off to my brother and sister, and everyone in our families has enjoyed them tremendously. I had scanned some of the later volumes by taking apart the binder and putting them through a bulk two page scanner, but have considered doing the later volumes in their binders with BookSnap because the look of the "BookSnapped" volumes is so much more beautiful and true to their very personal feel (they are photographed as color images including the central meeting of the pages and with edges of other pages seen each in the background, giving them a 3D quality, rather than being scanned as individual, flat pages in black and white). I've also started to use BookSnap for our photo albums, rather than taking the sheets or individual photos out to scan. The albums have to sit on the glass since they're too big for the cradle, but it still works very well and also gives that original, album feel. The national library of Iran as the biggest library in Mid East that has got over than 3,500,000 volumes included many valuable manuscripts has bought 1 unit of ATIZ DIY-B as the pilot and the managers of the mentioned organization are investigating the best solution for digitalizing fast. Mr. Ashari as the president of the national library has introduced his strategy to make usable library for people every where by digitalizing and it could be the most important project in digitalizing field in Mid East. It is entirely appropriate that the Centre for the Great Islamic Encyclopaedia should be situated at the foothills of the majestic Alborz range of mountains, north of Tehran: for the task in hand is indeed colossal. The Great Islamic Encyclopaedia (Dāʾirat al-Maʿārif-i Buzurg-i Islāmī) is the main work in progress; an ambitious, indeed, unprecedented work. It is about to publish its 15th volume. This project—which was initiated two decades ago, in 1984—is scheduled for completion in approximately 20 years; a total of 40 volumes are planned. The unique nature of this encyclopaedia does not lie only in its sheer size, however, but also in its comprehensiveness in respect of the Islamic tradition as a whole. Unlike existing encyclopaedias of Islam in the West - which are written mostly by non-Muslim scholars, often on the basis of persisting Orientalist premises - the present encyclopaedia is written largely by Muslims, and their remit is to be as objective and scholarly as possible. The CGIE was established in 1984, by Kazem M. Bojnurdi, with the purpose of compiling and editing reference books such as encyclopaedias and creditable academic books. As regards administration, the Centre has a Board of Trustees consisting of 5 members, from which the Executive Board of 3 members is derived. The Executive Board selects the Managing Director. 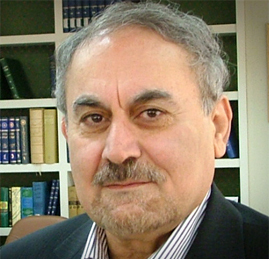 In order to realize its academic goals, the Centre has an Editor-in-Chief and Academic Supervisor at the head, for both of which Kazim M. Bojnurdi is responsible, the High Academic Council with 44 members at present, and the departments of Philosophy, Theology and Sects, Geography, History, Literature, Mysticism, Arabic Literature, Iranology (pre-Islamic studies), Linguistics, Anthropology, Art and Architecture, New Concepts and Special Entries, Religions, Islamic Law, Qur'an and Hadith Studies, Title Selection, Editing and Publishing, Department of Arabic Translation, Department of English Translation, Central Library and Digital Library. It is worth mentioning that the highest reference for legal decisions is the Board of Trustees which has the full authority. The Managing Director can be authorized totally or partially to act on behalf of the Board of Trustees. The highest reference to decide on academic issues is the High Council, which is directed and implemented by the Editor-in- Chief and Academic Supervisor. The members of the High Council include the heads of the departments and the supreme advisors, the director of which is the Editor-in- Chief and Academic Supervisor. 1. The Great Islamic Encyclopaedia in three versions of Persian, Arabic, and English languages: so far 14 volumes of the Persian edition and 6 volumes of the Arabic edition have appeared. The English edition began in August 2003 under the chief-editorship of Professor Wilferd Madelung, the prominent Orientalist of German origin in England. The first volume in English is expected to be published in 2008, by Brill Academic Publishers in Leiden. The entries of the Great Islamic Encyclopaedia are related to the culture and the civilization of Muslim nations throughout the world, which is planned to consist of 40 volumes. 2. The Encyclopaedia of Iran, in 30 volumes: This is a general encyclopaedia, entries of which include the culture and civilization of Iran, and every relevant field of study. The articles, relating to the Iranian entries or the world of Islam, will be compiled and the remainder will be translated from reliable encyclopaedias. The second volume has recently appeared, and it is anticipated that the next volumes are planned to be published consecutively. 3.The Collective Catalogue of Persian Books: This includes the subject index of Persian books in the entire world from the beginning to the modern area of publishing. In other words, the Persian books, which had existed until a century ago in both versions of manuscript and typescript as well as all their copies, are presented in brief with relevant information. The work will be in 22 volumes, 10 volumes of which have appeared so far. 4.The Comprehensive History of Iran: The work will be prepared in 12 volumes in a year and half. Thus far, more than 186 scholars have cooperated in compiling it. The work includes the political, cultural, and social history of Iran from the beginning of the Aryan migration up to the end of the Qajar Dynasty. Five volumes are related to ancient pre-Islamic Iran and the remainders are related to the Islamic era of Iran. 5.The Comprehensive Geography of Iran: The work will be prepared in 5 volumes with the cooperation of 65 scholars in one year.